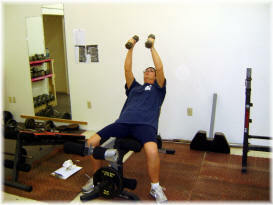 Our Club is available for adult male and female cardio & weight-training programs beginning at 4:30pm. Our strength and conditioning coaches custom tailor an individualized workout program that emphasizes strength development, conditioning and cardio improvement. Men and women work separately and in same-gender small groups or individually. 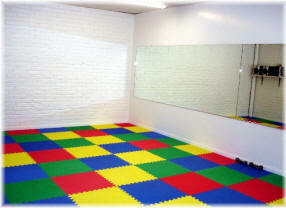 Encouragement and fun make getting in shape a great experience! Bring a friend ... make new friends and finally enjoy better condition and health! members at every exercise station. cardio without knee and ankle stress. Private morning sessions with a personal trainer are available. Stop by, call or Email for more information. The coaches at Newton Gym & Boxing club congratulate Terri and Nicole Menville for their outstanding accomplishment during the past several months! Both women joined our Club to get in better health and become more fit with a cardio and weight-lifting program especially designed to meet their individual goals. 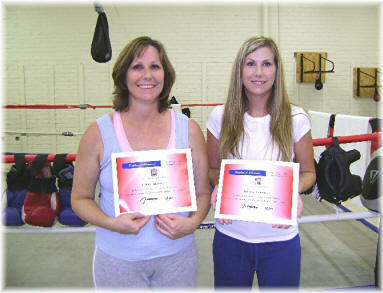 Terri and Nicole dedicate about ninety minutes day 3-4 days a week at the Club and their progress has been remarkable. They have followed a structured workout program that changes every few weeks. If you are looking for a plush franchise gym facility complete with TV's, a fancy beverage bar, thousands of dollars of machines, soft carpet and high monthly dues, forget Newton Gym! We continue to serve our community offering a great atmosphere to enjoy getting in better shape without all the whistles and bells and additional expense of a personal trainer. Club members workout to reach personal goals, grow in self esteem and improve their health. The focus is personal achievement and sharing the experience of motivation. You'll enjoy the atmosphere and keep coming back for more!